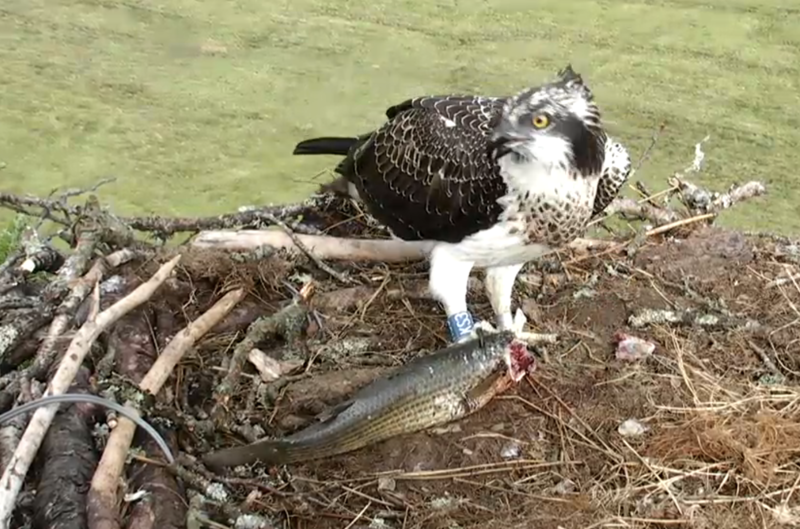 KS1 on the nest when Aran delivers a live fish. KS1 grabs Aran's leg as the fish flaps across the nest! I hope he's ok as those beaks could do a lot of damage to a leg. 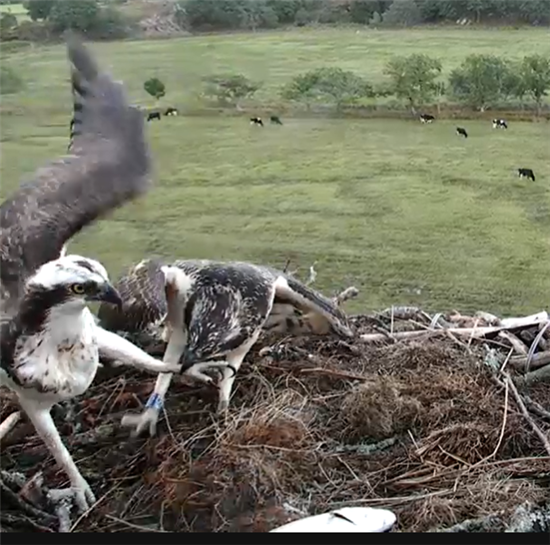 After a wet morning I got to Glaslyn mid afternoon when the sun appeared. Saw the above mentioned flounder delivery, and had a nice chat with the lovely volunteers there. The VC is certainly much better than the old one I saw 4 years ago! 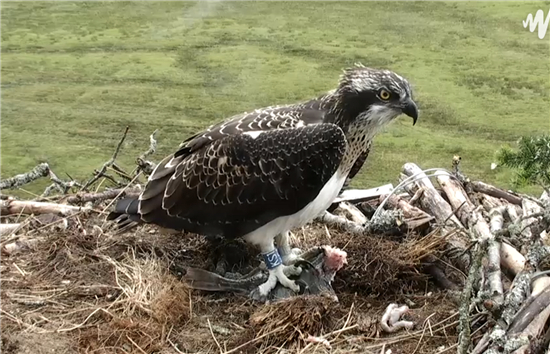 Mrs G now alone on the nest. Now KS3 has an enormous fish. Mrs G alone on the perch.